Designed in 2774 as an anti-aircraft platform and long-range fire support unit, the JagerMech was intended to correct several perceived faults of the original Rifleman. Kallon Industries went about reviewing the battlefield performance of the Rifleman and identified three critical flaws: it ran too hot, it was too lightly armored, and it didn't carry enough ammunition. Kallon's engineers built the JagerMech with these issues in mind and while they managed to address the heat and ammunition problems they were unable to increase its armoring despite the larger chassis. In the end the company saw this as less of an issue since, as they noted, the JagerMech is a second-line 'Mech whose long-ranged autocannons allow it to engage many enemies without suffering return fire. During the Succession Wars the largest numbers of JagerMechs served the Federated Suns and Capellan Confederation, with relatively few found in the other Great Houses. The 'Mech became especially associated with the Suns, not least because its primary factory was located on the moon Talon, and was used extensively by the Armed Forces of the Federated Suns. It was most often used to form fire support lances, working in conjunction with similar 'Mechs like the Dervish and Rifleman, while also being deployed as part of attack and strike lances to provide support for their lancemates. After the Fourth Succession War Kallon contracted out with Independence Weaponry on Quentin to increase production of the JagerMech, but the planet was captured by the Draconis Combine in the War of 3039 and the production line fell under their control. Although the Kuritans were never big fans of the 'Mech it slowly began appearing in large numbers in their armed forces. Despite its improvements over the original Rifleman it soon became apparent the JagerMech was in desperate need of a redesign to improve survivability on the battlefield. Utilizing lostech which had been discovered in the last few years Kallon was able to build a new variant, the JM6-DD; fortuitously it came into production just months prior to the Clan Invasion. 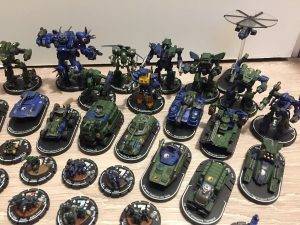 After the Wolf's Dragoons summit on Outreach, First Prince Hanse Davion agreed to share the technical specifications of the JMS-DD with the Kuritans, resulting in these new JagerMechs seeing significant action across the Clans' invasion paths. After the war nearly every regiment in the Draconis Combine and Federated Commonwealth featured new and refitted JagerMechs. After the FedCom Civil War further development of the JagerMech split along three different lines. The first were simple field refits of the original JM6-DD, such as the H and DG models. The second was a complete overhaul as part of Victor Steiner-Davion's "Redesign for Davion Pride" program, resulting in the JagerMech III. The third was the creation of a divergent line, the JM7 series, built on a slightly heavier chassis. In 3069 the JagerMech factory on Talon was destroyed due to the Jihad, leaving only the Quentin factory to still produce the 'Mech. The JagerMech mounts two pairs of Mydron autocannons; each arm is fitted with a Model C Medium Autocannon and a Model D Light Autocannon. Ammunition for these is carried in the torso, two tons for the class-5 autocannons split between left and right torso and one ton for the class-2s in the center, allowing for twenty full-strength volleys. A pair of Magna Mk. II Medium Lasers are mounted in the left and right torso in case the 'Mech must engage the enemy at close range. Ten single heat sinks dissipate waste heat generated by these weapons. The long range of its autocannons, combined with the excellent Garret D2j targeting and tracking system (made famous by the Rifleman), makes it a prime choice for anti-aircraft work. The range of its autocannons also allow it to engage many enemies without suffering return fire, and when stationary it is able to fire all its weapons without heat build-up thanks to ten single heat sinks. Carrying only a miserly six tons of standard armor, the JagerMech is very vulnerable to return fire. This variant from MechWarrior 2: Mercenaries predates the rediscovery of the Helm (or, alternately, Gravenhague) Memory Core. It exchanges the traditional autocannon-centric gun fit of the JM6-S for large lasers in each arm and secondary medium lasers in both side torsos, in order to free the JM6-B from close dependency on ammunition resupply for its main weapons. These changes ultimately reduce max range and increase heat dissipation issues, with only 13 single heat sinks. Despite needing competent heat management, this variant proved to be well-suited for extended use in austere conditions such as frontier worlds, out in the Periphery, and by smaller mercenary units that could not always count on fresh expendables. A pair of LRM-15 launchers - the only ammunition-dependent weapons - are split between the side torsos; with 8 volleys each, these provide a partial compensation for the extreme range capability lost with the removal of the JM6-S's AC/2s, and introduce a respectable indirect-fire capability. Confirmed sightings in 3044 place initial production at least prior to that year. MWO's JagerMech Hero 'Mech is armed with an AC/2 and PPC in each arm supported by a Medium Pulse Laser in each side torso. Firebrand is built around an 280-rated XL engine and an Endo Steel frame, allowing it to carry ten and half tons of standard armor plate, fifteen double heat sinks and two tons of AC/2 reloads. 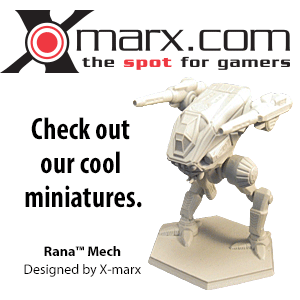 Rifleman - The Jagermech was created to address the many criticism of the Rifleman BattleMech. Peter Steiner-Davion - Following his graduation from the Nagelring, Peter piloted a JagerMech. When he returned from his self-imposed exile, he did so at the helm of a Fafnir. ↑ MUL Profile of the JagarMech JM7-C3BS - Includes; Introduction Year, BV2, and a Alpha Strike Data Card. ↑ This variant was imported to the board game from the MechCommander computer game. This page was last edited on 26 November 2018, at 04:18.